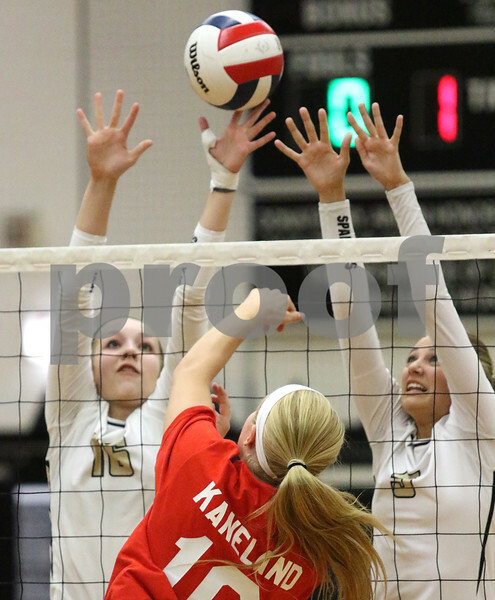 Kaneland takes on Sycamore during their volleyball game on Tuesday, Oct. 11, 2016 at Kaneland High School in Maple Park. Kaneland takes on Sycamore during their volleyball game on Tuesday, Oct. 11, 2016 at Kaneland High School in Maple Park. Sycamore won in straight sets, 25-23, 25-23.